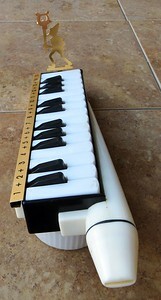 Made by Orcana, same as Chordiana and Bontempi models, though the Bontempi has a rectangular mouthpiece receptacle. 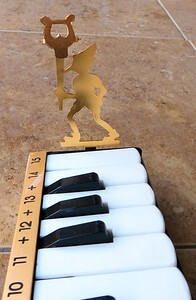 Several different Pinocchio Pianinos were made, and they seem not to be terribly rare. 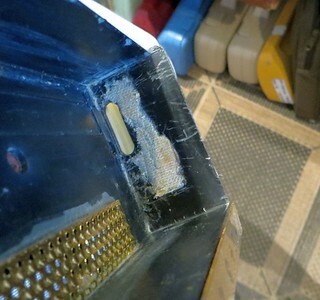 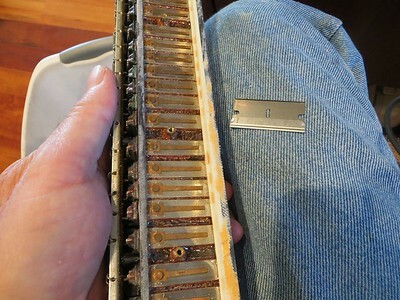 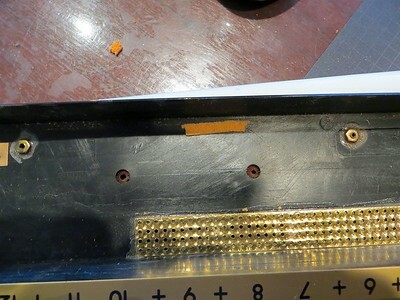 Typically, gasket material has to be replaced on these old Italian melodicas. 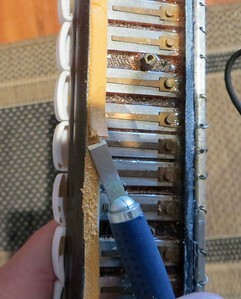 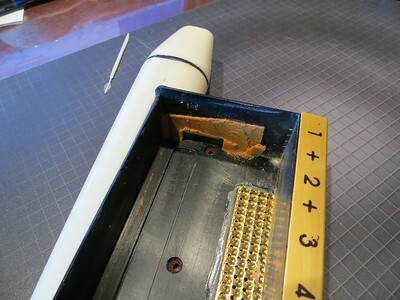 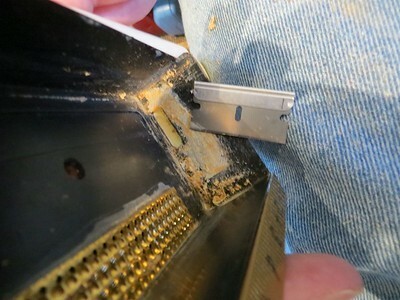 Photos here show part of the replacement process, using 1/8" thick, 1/2" wide gasket tape cut in strips and pieces. 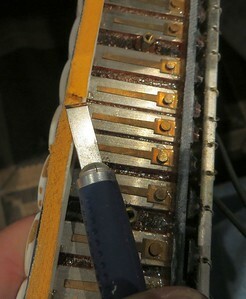 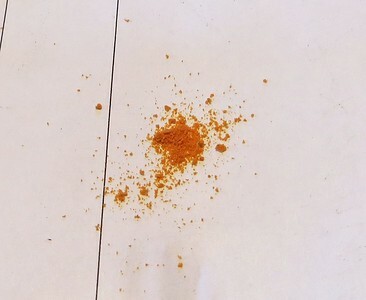 1/8" is what I had; 1/16" or 1/32" would be better , making reassembly easier. 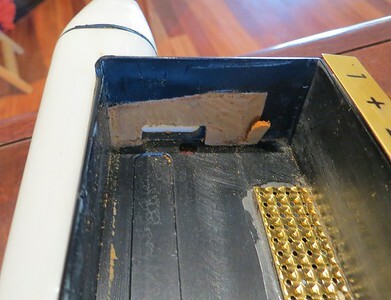 But the seal is now very tight on this instrument. 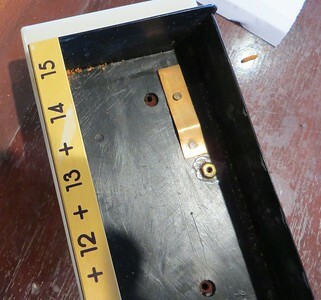 Pretty rare. 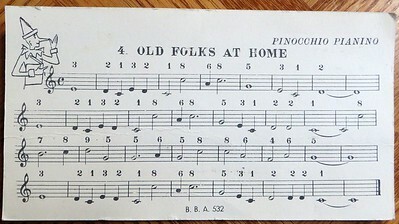 One seller said that his wife acquired a Pinocchio Pianino while visiting relative in Italy in the early 1960s. 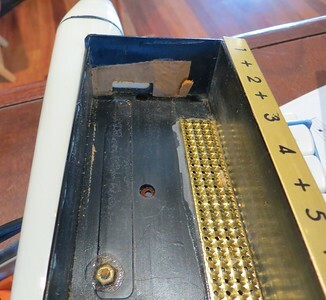 The advertised instrument looked earlier than the one depicted here; but, on the assumption that this claim was true, the Pinocchio Pianino seems to have been introduced in the early 1960s.